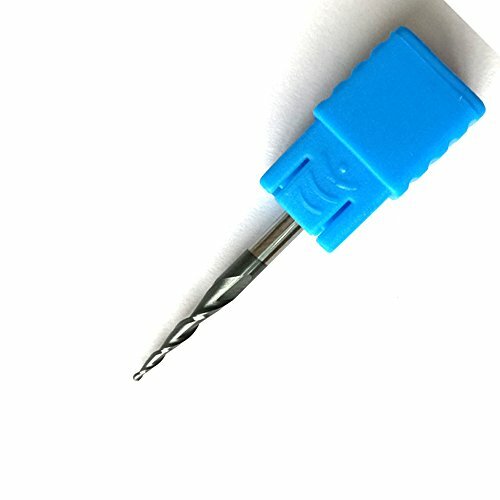 The CNC bits with 1/4 inch Diameter shank, 2 Flutes, TiAIN Coated for wear resistant. Tapered angle Ball Nose End Mill / Cone Cutters for smooth engraving and clear the edage. 1/4 inch Shank Diameter, 2 Flutes, TiAIN Coated to better wear resistance. For CNC Table and handhold router,3D and 2D Caving and Engraving machine. Cut a variety of materials from wood, plywood, MDF and other wood composites, plastics, and solid surface etc. Straight threaded flute, Plug type, Taper cutting edges and 5mm diameter flute, 0.8mm flute teeth pitch. Suit for machine use to cuts a thread on the inside surface of a hole, creating a female surface which functions like a nut. A taper tap offer a very gradual cutting action and is most often used when the material to be tapped is difficult to work (e.g., alloy steel). 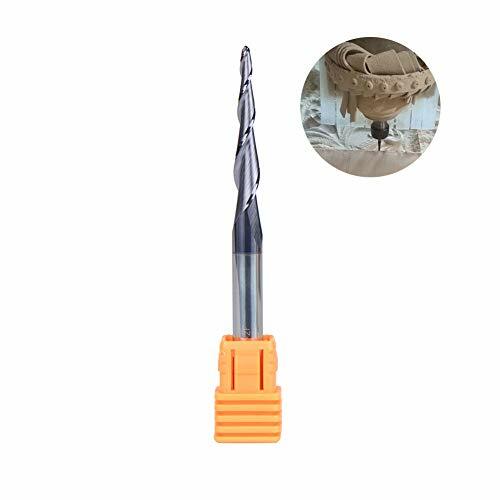 Product Name : Taper and Metric Tap;Flute Diameter : 5mm / 0.196"
Tapered CNC end mills with ZRN coating provide the extra length needed to carve 3D shapes out of solid wood, plastic, foam and other materials. The tapered design provides added strength to the bit while still maintaining a small radius at the bit's tip. This unique design provides clearance when routing 3D profiles and allows you to create complex carvings in all kinds of stock. With the added ZRN coating, the bits lifespan and durability are increased substantially avoiding unnecessary down time. Includes 1/4", 1/8', 1/16"& 1/32" cutting diameters with 1/4" shanks and 1" cutting length. 3 and 4 flute bits included. 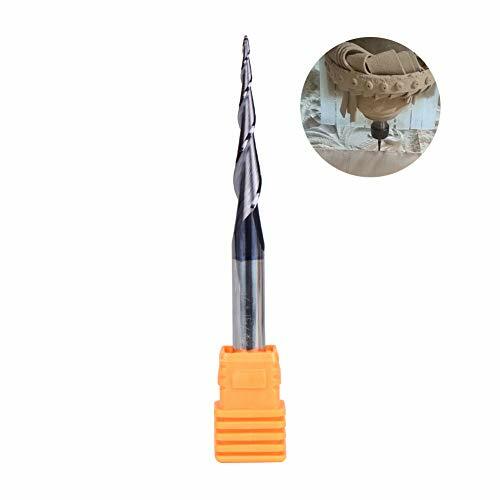 Carbide Tapered angle Ball Nose End Mill / Cone Cutters for CNC 3d Carving. 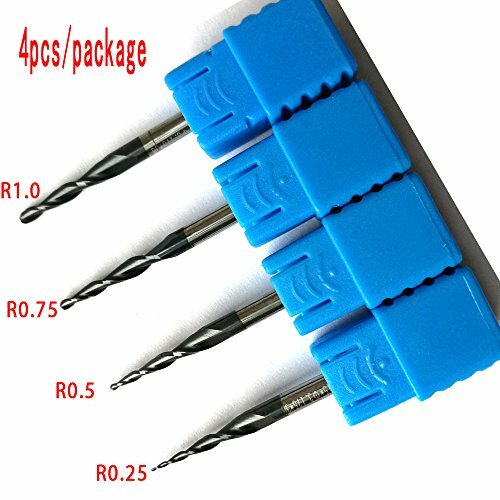 The Tapered Carbide Carving bits suit For CNC,Engraving Carving 3D machine. High quality tungsten carbide and coat. Long service life and less wear. HSS material, durable and long service life. It is double-edged with regualr distribution,10 flutes making the the cutting stable. It fits for meatalworking mold steel, cast iron, carbon steel, alloy steel, tool steel, general iron material. Safety instructions: 1.Razor blades permanently enclosed in a cartridge or housing with less than 2mm of blade exposed 2. The bladed product is not use for people under 18 years. 3. The item is only use for industrial cutting/engraving, not hazardous article. HSS material, durable and long service life. Safety instructions: Razor blades permanently enclosed in a cartridge or housing with less than 2mm of blade exposed. The bladed product is not use for people under 18 years. The item is only use for industrial cutting/engraving, not hazardous article. It is double-edged with regualr distribution,10 flutes making the the cutting stable. 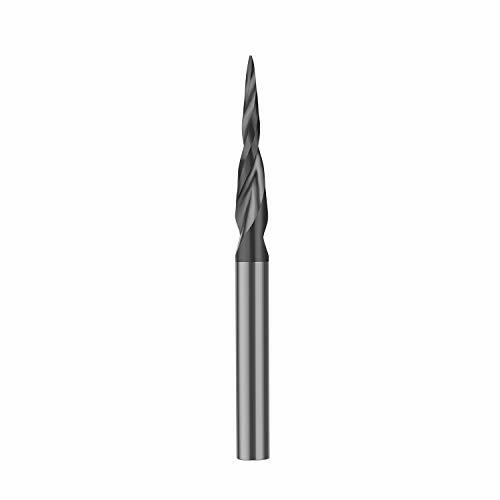 This tapered end mill has a 0.25mm radius cutting tip and a 20mm cutting length. 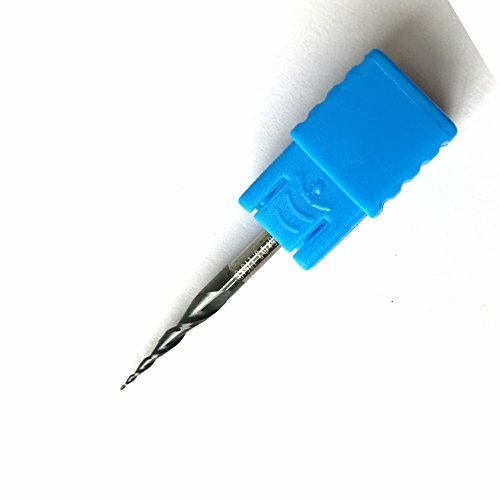 The TiSiN coating provide great performance and extended tool life. 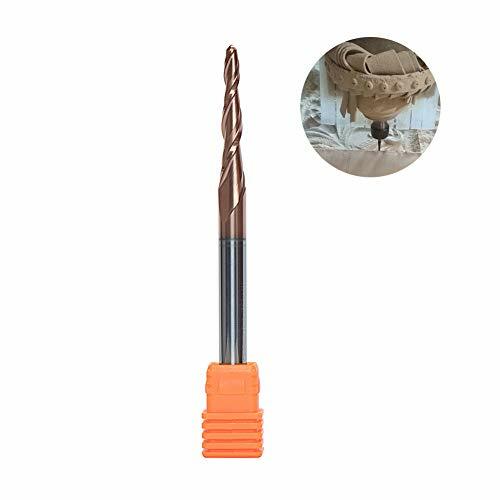 Tapered CNC end mills with ZRN coating provide the extra length needed to carve 3D shapes out of solid wood, plastic, foam and other materials. The tapered design provides added strength to the bit while still maintaining a small radius at the bit's tip. This unique design provides clearance when routing 3D profiles and allows you to create complex carvings in all kinds of stock. With the added TiSiN coating, the bit s lifespan and durability are increased substantially avoiding unnecessary down time. An essential hardware tool for industrial. High speed steel, high quality and durable. The counterbore set works great in counter bored hole. 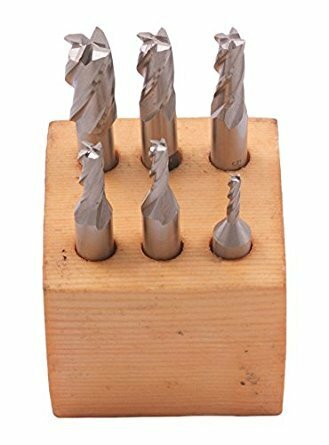 It includes 7 sizes in one counterbore set(M3, M4, M5, M6, M8, M10, M12). Apply to cast iron, steel, copper, aluminum, conventional hardness of stainless steel and die steel, etc. -Size. 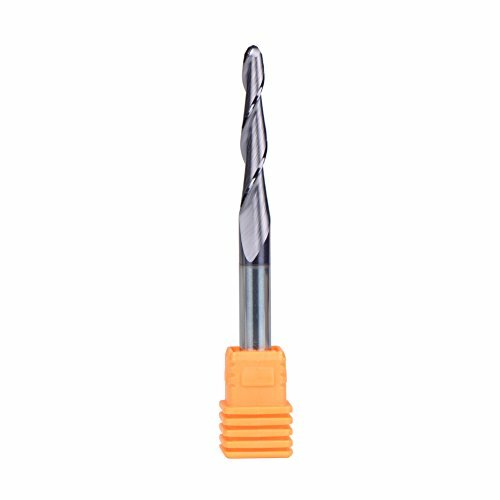 Radius: 0.5mm; Shank Diameter: 1/4((d1) / Cutting Length: -1/4(L1); Overall Length: 3(L) , Single side angle B=4.82 Degree. -Material. Tungsten Carbide, Tiain coated. 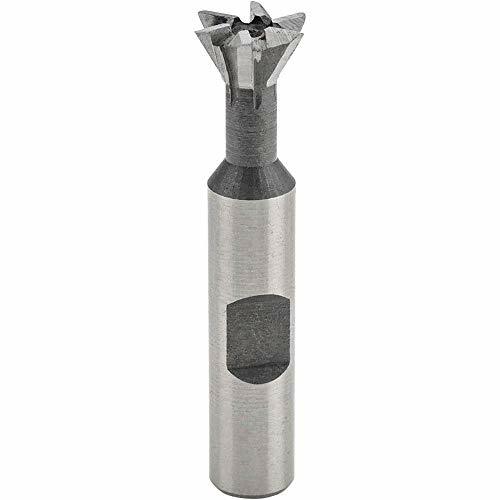 These precision ground high speed steel dovetail cutters are designed for accuracy and speed. 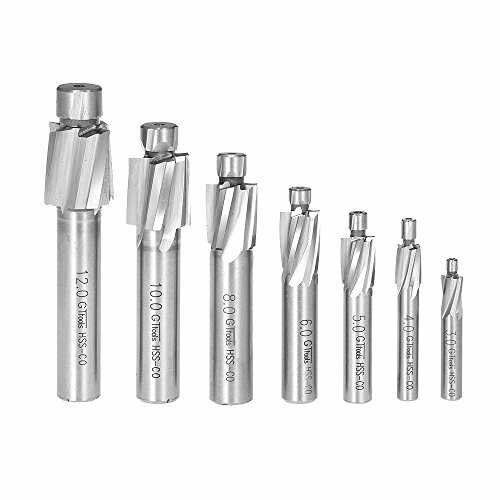 Choose from the 3/8", 1/2", 3/4", 1", 1 3/8", 1 7/8" or 2 1/4 diameter, 60deg dovetail cutters. 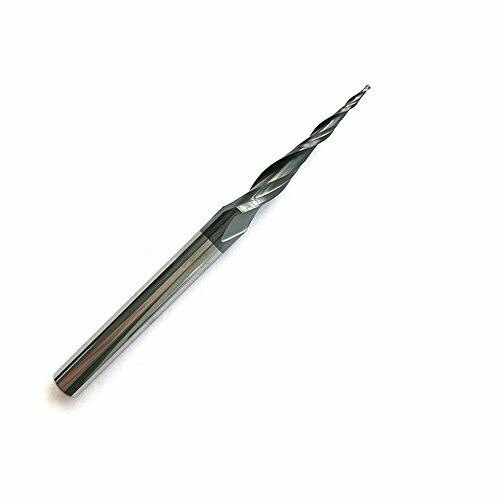 This tapered end mill has a 3/16" diameter cutting tip and a 1" cutting length. 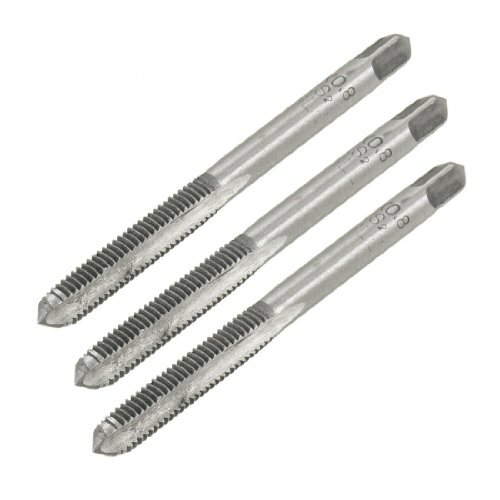 The 3 flutes and the ZRN coating provide great performance and extended tool life. 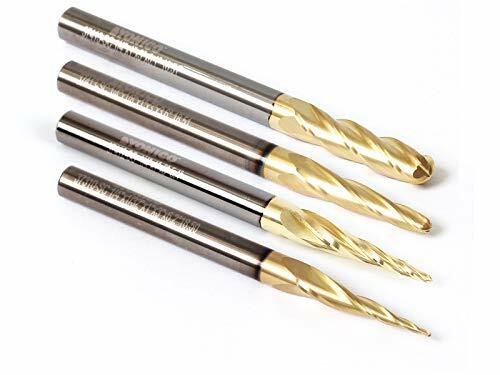 Tapered CNC end mills with ZRN coating provide the extra length needed to carve 3D shapes out of solid wood, plastic, foam and other materials. The tapered design provides added strength to the bit while still maintaining a small diameter at the bit's tip. This unique design provides clearance when routing 3D profiles and allows you to create complex carvings in all kinds of stock. With the added ZRN coating, the bit's lifespan and durability are increased substantially avoiding unnecessary down time. 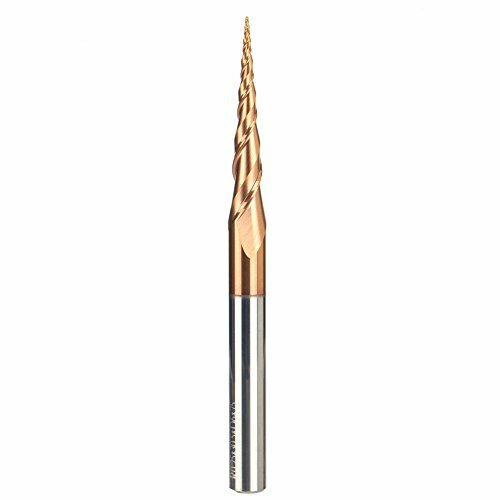 This tapered end mill has a 3/16" diameter tip and a 1" cutting length. The ZRN coating provide great performance and extended tool life. With bending strength, High hardness, high wear resistance, ensure high working efficiency. 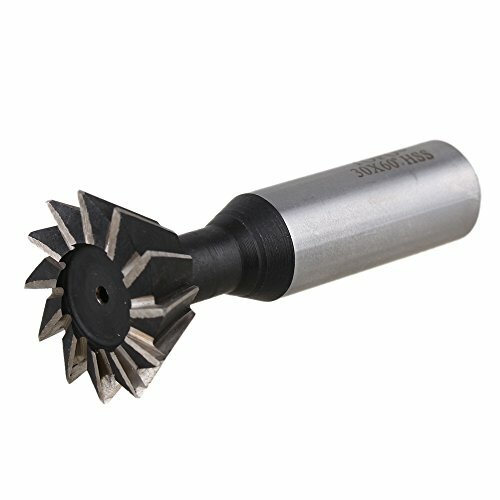 Suitable for cutting, end milling, CNC, Engraving machine, slotting, etc. And can work on aluminum, solid wood, PCB circuit board, Hard wood, plywood, etc. 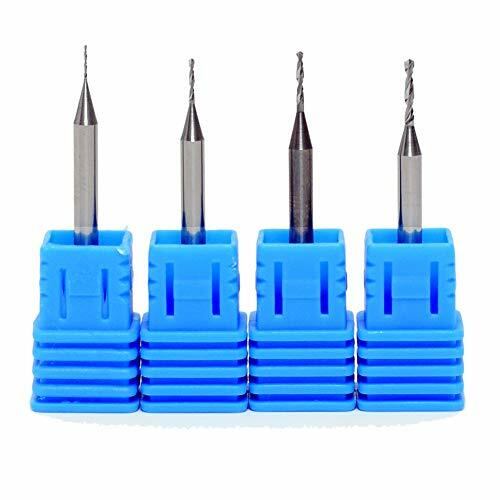 Size: Cutting edge diameter, 0.45mm/0.018", 0.75mm/0.03", 1mm/0.04", 1.25mm/0.049"
Material: Made of tungsten solid carbide, High hardness and bending resistance, with good milling, cutting performance, ensure high work efficiency. Available application: Suitable for cutting, end milling, CNC, Engraving machine, slotting, etc. And can work on aluminum, solid wood, PCB circuit board, Hard wood, plywood, etc. Warranty: We promise provide satisfied service for every client, if there is any quality issue, we can send a new replacement or refund full refund.